Bistro lighting is a stylish design trend in event planning that can really make your celebration stand out. Whether you are celebrating a birthday, wedding, or the grand opening of your business, the right bistro lighting can create the perfect ambiance. Read on in today’s blog from The Alleen Company to learn more about bistro lighting. 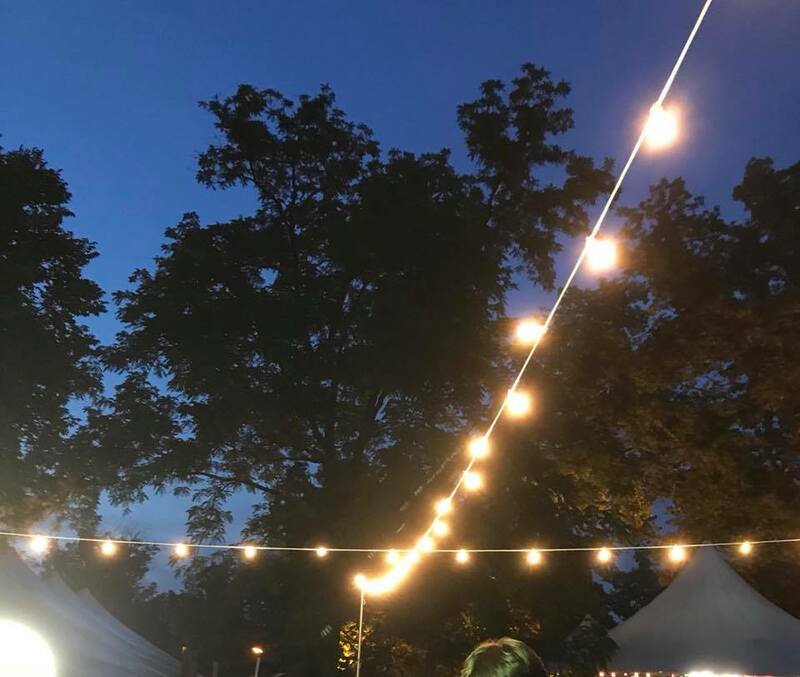 Whether you choose a tent rental, or you prefer to enjoy your event under the stars, bistro lighting is a great way to bring the elegance and ambiance of a stylish indoor setting to your outdoor event. Bistro lighting gives event planners the ability to define the event space in a way that is beautiful as well as functional. Create a welcoming atmosphere for guests by defining the entrance to your event in lights. Guide your guests between event spaces by illuminating the way with bistro lighting. Bistro lighting is stylish and functional, so consider this great option when event planning for your next celebration! Bistro lighting can only be used outside and is not recommended in tents. The bistro light poles have to be staked in the grass or blacktop or weighted by our 1,000 pound concrete blocks. You can choose how you would like the bistro lighting set up. Bistro lighting is gorgeous and can add a beautiful touch to any event. Talk with an event specialist today to get a quote for bistro lighting! If you are beginning the process of event planning for your next celebration, reach out to the team at The Alleen Company for expert guidance. We have been creating amazing events for more than 65 years, and we would love your event to be next! Contact the team at The Alleen Company and let us get to work for you!